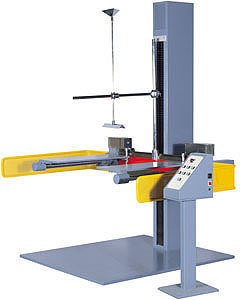 The Furniture Drop Tester – FDT-7003 is a larger capacity drop tester for furniture, appliances and other large Items. It simulates the drop/fall of the large-size furniture or appliance to evaluate their structure strength and or their damages. So as to evaluate the capability of the package to protect its contents. 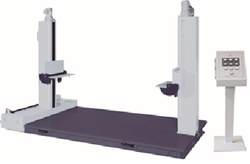 The specimen is raised to a specified height and then drops freely to impact the workbench. The base of the workbench is made of an impact resistant material, which is hard to be deformed during impacting. Acceptable specimen weight 331 lb (150kg) approx. Weight 5510 lb (2500kg) approx.